Yer buns were on the windowsill! Yer key was in the door! 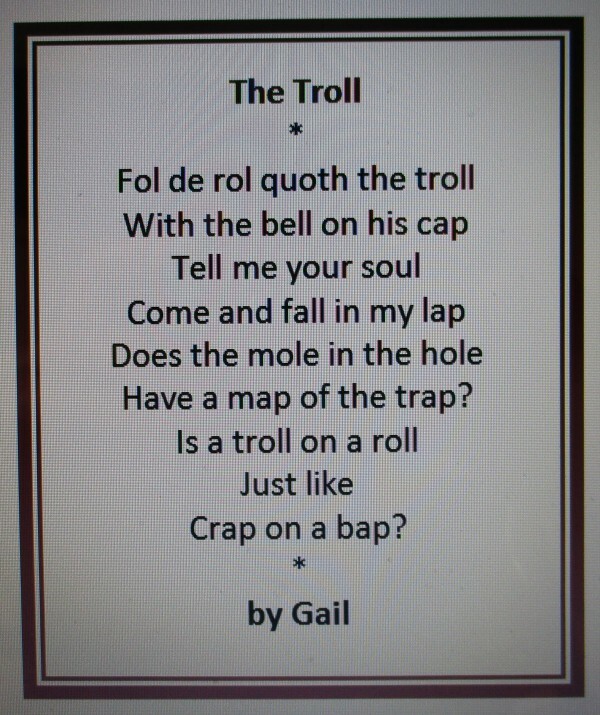 Is a troll on a roll just like crap on a bap?